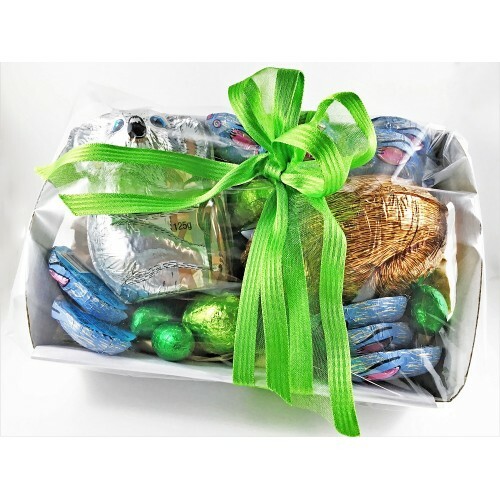 For those wanting a more unique Easter gift, the Aussie Icon Hamper Tray is the way to go. 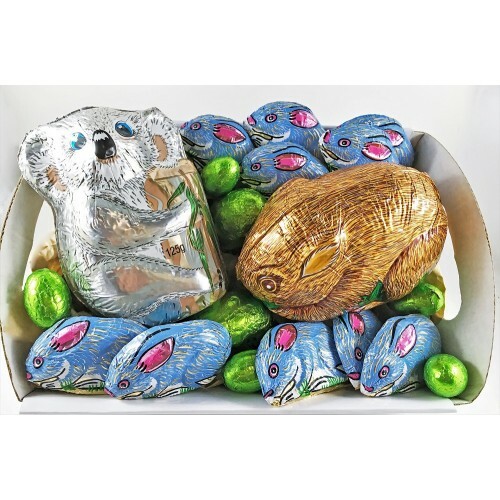 Containing a foiled Koala, Wombat and a burrow full of baby bilbies all made from smooth milk chocolate. Some grass green foiled eggs have been added for a touch of nature. 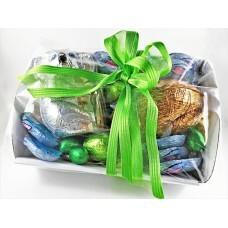 Finished with a bright green bow, it's an instant gift this Easter.